Textile leader. Furniture Marketer. Philanthropist. Born on July 30, 1923, in High Point, North Carolina, Jim Millis was the son of local textile mill owner James Edward Millis and Helen Brooks Millis. Junior Achievement The High Point Hosiery Mill was formed in 1904 to produce hosiery/socks. The first year, the company produced almost one million black socks. In 1928, the Adams-Millis Corporation was formed and listed on the New York Stock Exchange for $4.75 a share. Jim Millis grew up in High Point and enrolled in Davidson College in 1941. The day after Pearl Harbor, Jim trooped down to Charlotte to enlist with other young men. He wasn't called up for active duty until 1943, entering the Army Air Corps for training as a P-47 Thunderbolt fighter pilot. Meanwhile, the Adams-Millis Corporation had weathered the Great Depression and was in the middle of an overtime production boom  eventually knitting 37 million pairs of socks for World War II GIs. Millis fought in the European Theatre Operations, being discharged in 1945. He returned to attend University of North Carolina at Chapel Hill. He joined the Adams-Millis firm at the bottom, cleaning our the cotton machines. He learned the entire business. 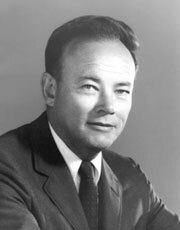 In 1953, Jim Millis was named president. He later added the CEO and chairman titles. Jim continued an aggressive strategy for growing the firm, acquiring other textile firms and creating innovative marketing partnerships. One such partnership was with Hanes, which previously had only sold women's hosiery. This 1$30,000 joint venture in 1960 to produce men's, boy's and children's socks would grow to more than $40 million a year in sales. During this time, Jim Millis would serve as chairman of the National Association of Hosiery Manufacturers, as well as serve on numerous boards  such as Wachovia Bank and Houston Coca-Cola Bottling Company. In 1988, the company employed over 3,500 people and operated 16 factories making it one of the leading hosiery manufacturers in the country. The firm produced Hanes brand socks for the Sara Lee Corporation. In October 1988, the Sara Lee Corporation, parent of Hanes, bought the Adams-Millis Corporation. Jim retired in 1989. Jim continued his involvement in civic and non-profit organizations, creating the James H. and Jesse E. Millis Foundation. His efforts are evident in the Athletic Center at High Point University to the Millis regional Medical Education Center to the founding of the High Point Community Foundation. Over the years, he has been recognized many times, including the High Point Enterprise's Man of the Year. On October 19, 2000, a world-class architectural building was opened in downtown High Point  Showplace, a half-million sq. foot, five-story building for the international furniture and home furnishing markets held in the city. Co-owners are Earl "Phil" Phillips, James Millis. Paul Brayton and others.